Crank Out the Same Heavy and Brutal Tones as Slipknot's Jim Root! 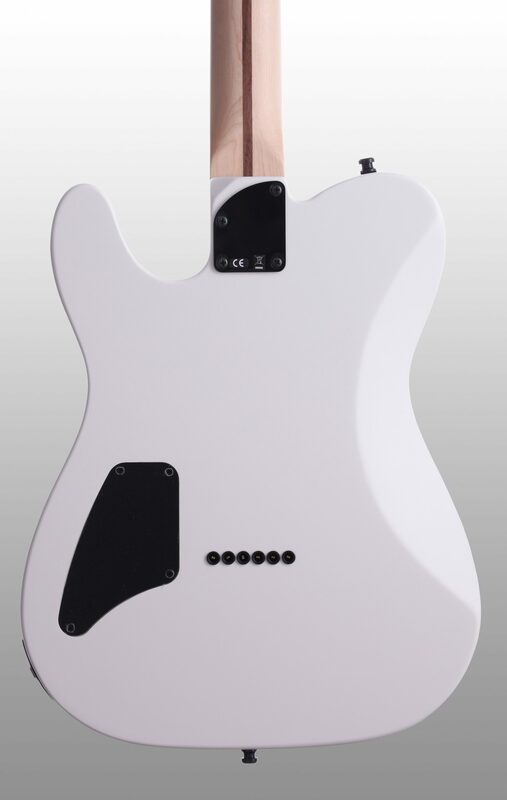 While a Telecaster is not often the first choice for most metal players, the Fender Jim Root Telecaster may change that. Its mahogany body, EMG pickups and no-nonsense aesthetic make the case that this guitar can handle some dirty jobs. Jim Root explains his signature Tele in this video from Fender. 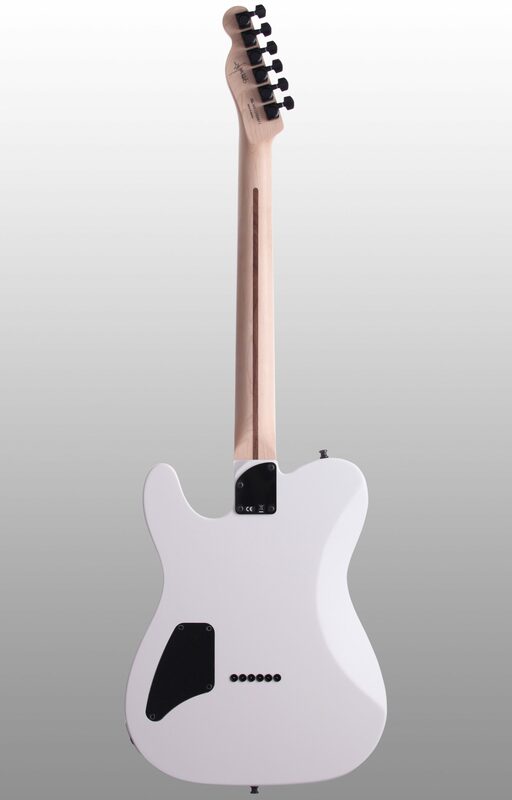 Mahogany is not a typical wood in Fender Telecasters, but it fits with Jim Root's model -- adding a warmer and darker sound. 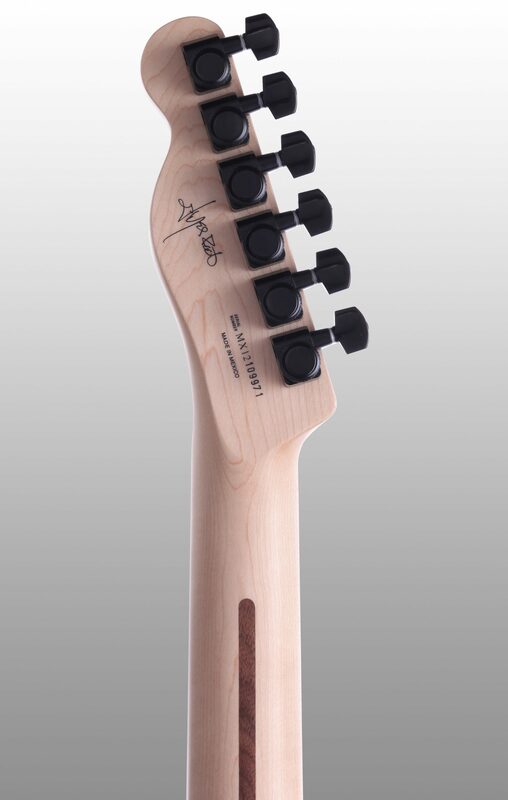 This Tele's maple neck is made in a modern C shape for faster playing. A guitar done up in neon probably wouldn't look right at a Slipknot concert, so it's no wonder Root's guitar is finished with all black appointments. From the Fender/Schaller Deluxe locking machine heads down through the pickups, hardtail bridge, and volume knob, everything on the guitar is coated in a flat black finish. 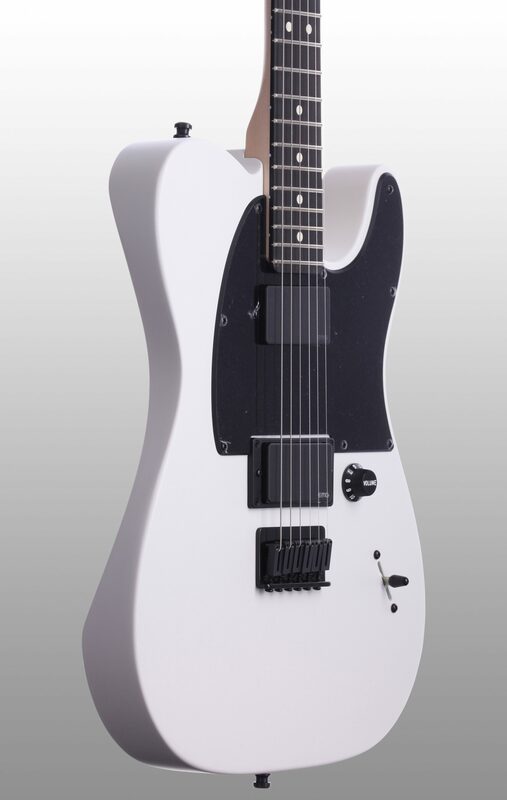 Perhaps Jim Root's wildest departure from traditional Telecasters is the replacement of typical single-coil pickups with EMG active humbuckers. EMGs are well favored by metal and hard rock players, so those looking for country twang may want to look elsewhere. If you want high-output tones to handle gritty distorted leads and rhythms, the Jim Root Telecaster is the axe for the job. The EMG 81 in the bridge position utilizes rail magnets for scorching lead tones, and the EMG 60 in the neck position uses ceramic magnets, boosting the mids for chunkier sounds. While this Telecaster does stray from its species in many dramatic ways, it also features a few less obvious design choices. A contour along the top of the guitar's back makes for a more comfortable playing experience. 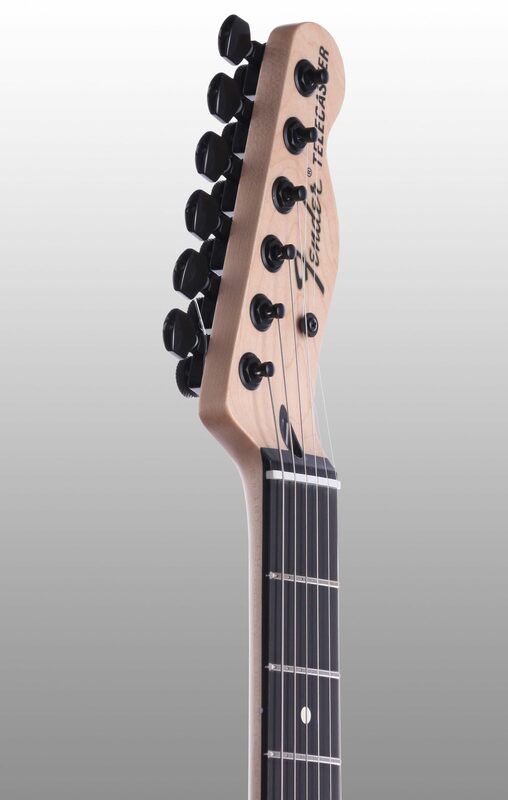 Another contour at the neck heel enhances upper fret access. The single volume knob is also placed strategically in a spot that encourages you to try out some volume swells. Find out just how dark and heavy a Tele can sound with Fender's Jim Root Telecaster. Plenty of modern features for big sounds. 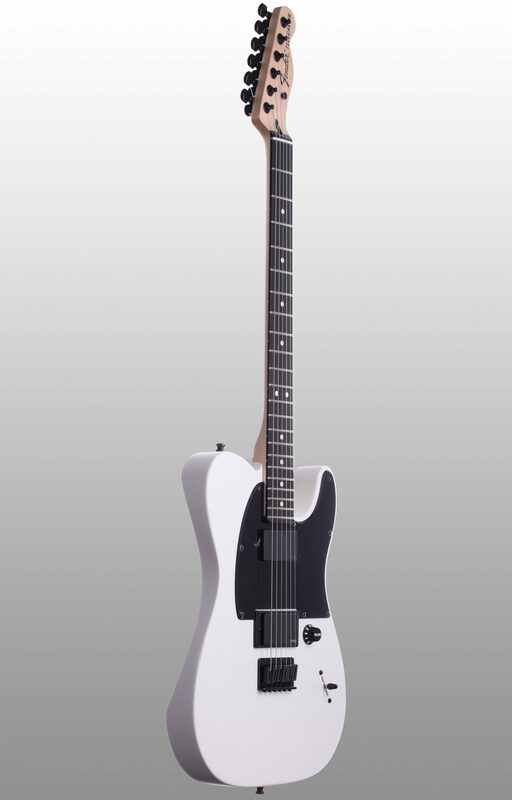 The Jim Root Telecaster (designed for the Slipknot/Stone Sour guitarist) will go to 11! Special features include a mahogany body, EMG pickups, 22 Dunlop 6100 jumbo frets, black locking tuners and hardware, and a single volume knob. Available in a flat black finish with a maple neck and fingerboard with a white pickguard or in flat white with a maple neck, ebony fingerboard and a black pickguard. Includes black tweed hardshell case with red interior. "Holy Smokes Batman ,this thing is awesome!!!!" Sound: It's EMG's so you know what your getting. Sounds powerful compared to my Slash pups and the Bill Lawrence in the Nuno. I run it through a Peavy Windsor 100 watt head and a old 412 cab. In the loop I have an LPB1, a Zakk Chorus and a Crabon Copy delay. Bad Horsie 2 in the front. Its a good heavy massive tone for sure.. Feature: Love the neck, very playable. The fretboard was definitely ebony. After reading some forums I was expecting a tinted rosewood but it's definitely tight grained ebony. I was happy about that. The case is so nice !!! Funny the PUP selector is wired backwards but I kind of like it so I kept it. Its a one of a kind for sure. Ease of Use: The frets took a little getting used to as they are jumbo's. But after a few weeks I was in the pocket and rippin.. Quality: Very well made. Its the one thing I was worried about since it's a Mexy. However I was happy that all the excellent reviews were true. Its a very solid instrument only issue was the wiring of the EMG, no biggie I consider that little flub a meant to be kind of thing. The wood work is fantastic and looks killer. I like the minimalist concept. Root did good on the design. Value: It's a nice freaking guitar. I have an SRV I got from zZounds and to be honest the craftsmanship is pretty on par. I wouldnt normally pay a grand for a MIM axe but again the reviews were overwhelmingly positive. I DID NOT FIND ONE NEGATIVE !!! I even found where non metal guys were buying it and switching out the pups for different kind of music. Solely based on the playability. The only negative comment I ever found was for a tone knob. Dude it's EMG's why would you ever need a tone knob??? Manufacturer Support: No reason to call them. However I did call zZounds to tell them about the reverse pick up thing. As usual these guys are great and was ready to replace or return. But after playing it I wasn't letting it go anywhere... The Wow Factor: It was a hit at practice...The fact that I walked in the doors with a telecaster and then plugged in and got the sound I got. Should have seen the faces. The rhythm guy loved it . The sound was really punchy and out front compared to my EC. Overall: I was soooo hesitant to pull the trigger on this. I'm an EC 1000 kind of guy and was looking for something lighter and just friggin different from all the EC's in the field. I did so much research on reviews, youtubes, and forums and when it came to EMG equipped guitars, I kept running across this one. I would never in a million years have guessed I would own a Tele but I do now. I also own a Nuno, a Zakk Buzz Saw with Slash pups and an SRV strat. I love the Root Tele. Plays like a dream and surprisingly better than my SRV due to the thinner neck. No more CRAMPS!!!!!! If your thinking about it go for it. You wont regret it. "Surprising quality and suprisingly MIM "
Overall: I was nervous on this one bc I didn't know if I was going to like this guitar. Played one at the local Fender dealer but he wasn't including the case in the sale - I'm sure he grabbed it for himself when he saw it and I can understand why. Zzounds delivered it in excellent condition, and in the first few days I thought I was going to have to have it set up. After those few days I would not dream of letting someone else keep it overnight bc I would miss it too much. It just kind of warmed up after a few tune ups it seemed to need while it was stretching out. I don't have to tune it often now. 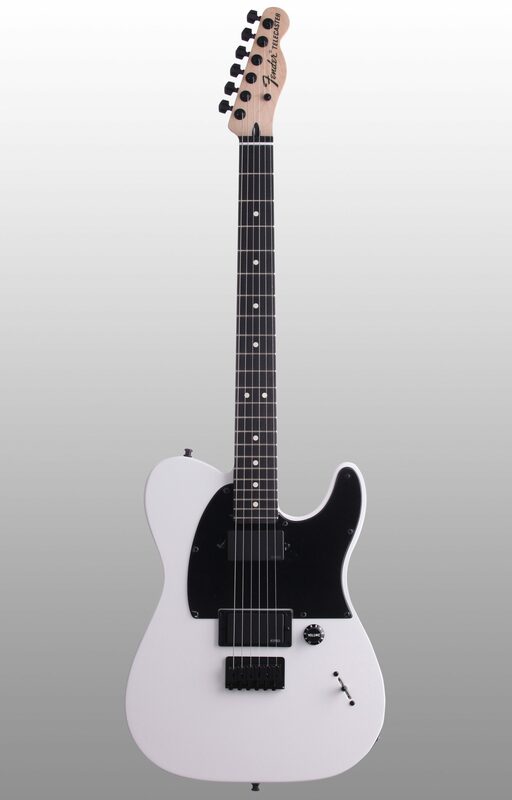 I wanted this guitar after I saw it bc I had been dreaming of a 1985 Schecter Satellite tele with black hardware, dual humbuckers and a maple tele neck on a mostly black telecaster body. I picked the black and white - has a great satin black finish that is purpose made to wear down - I wish it would not. Really glad I bought this guitar for the 5th in my collection - I had no idea I would be so pleased with this guitar, the tones off the EMGs are musical, the sustain goes on forever, this could do pretty much anything, including the melting faces stuff. Peace!